I haven’t been feeling great lately and with the gloomy weather, I was in need of a little pick me up. 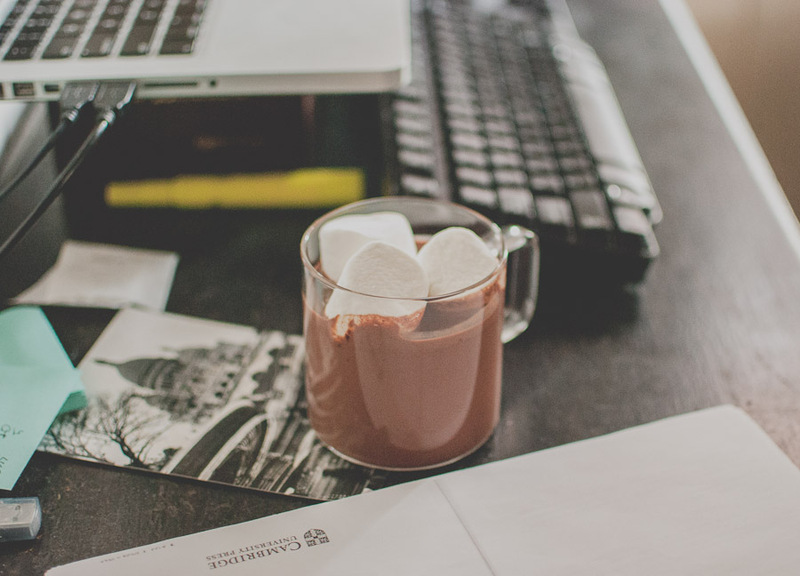 What could be more comforting than a little mug of hot chocolate? Rather than a packet of cocoa and hot water, I was in the mood for something more indulgent. I like the French approach to hot chocolate: very rich and thick with chocolate. 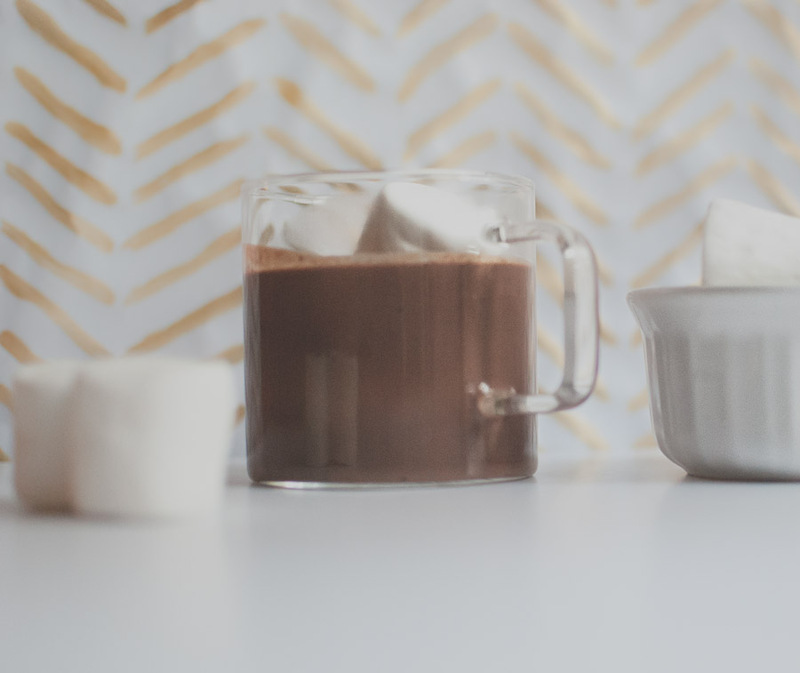 In general, I prefer desserts that are subtly sweet, so for this drink I used bittersweet chocolate and unsweetened coconut milk, which made for a rich and comforting mug of hot chocolate that wasn’t too sugary. This recipe made enough for two small mugs–perfect serving sizes for such a decadent drink. As with many desserts, a tiny pinch of sea salt is a little trick to making the chocolate really flavorful. In a small saucepan, heat the regular milk and coconut milk over medium-low heat until steaming but not boiling. 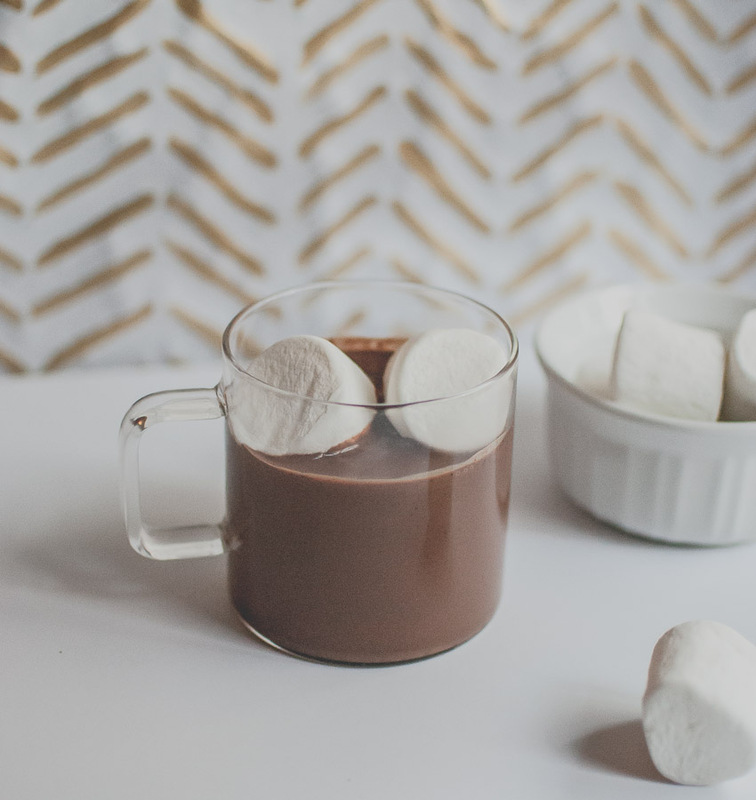 I had used a double boiler earlier to melt my chocolate for a different cooking project–but you can melt it in the microwave or chop it up and add it straight into the hot milk. Whisk constantly to incorporate. This will take 1-2 minutes if you previously melted your chocolate, and 3-5 if you did not. 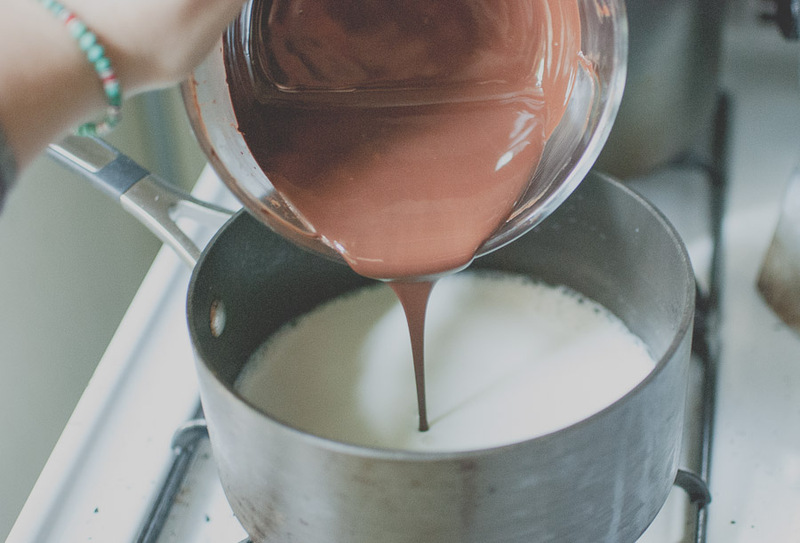 When chocolate is fully melted into the milk and no more lumps remain, remove from heat and whisk in the pinch of sea salt. 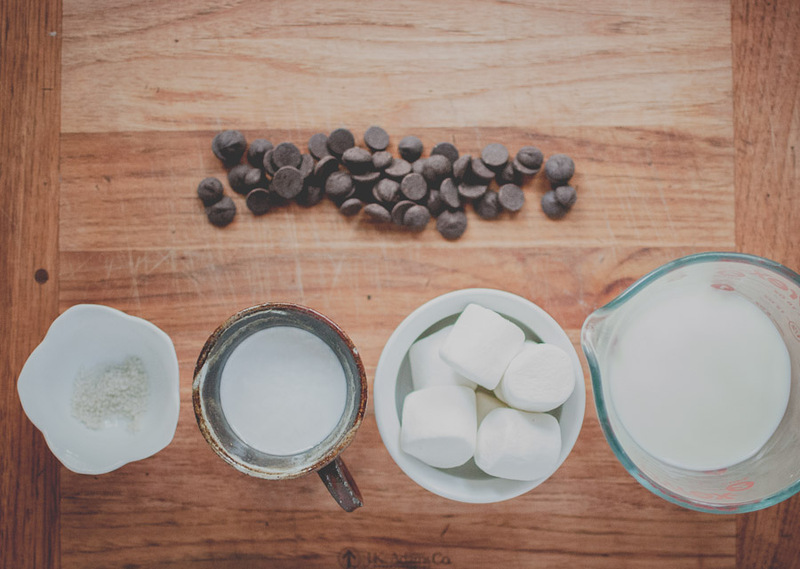 Pour into two mugs, add as many marshmellows as you desire.